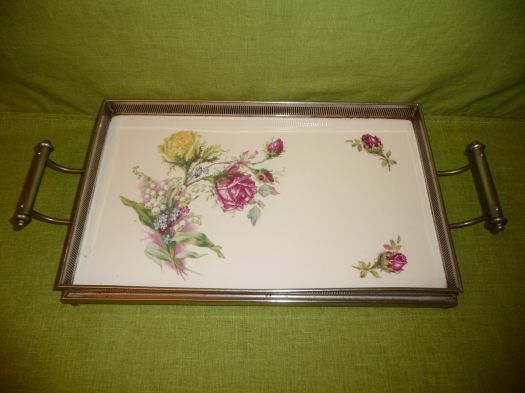 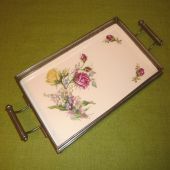 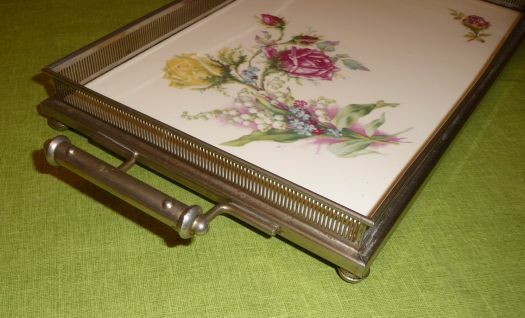 Great ceramic tray, charming pattern of roses and lily of the valley. 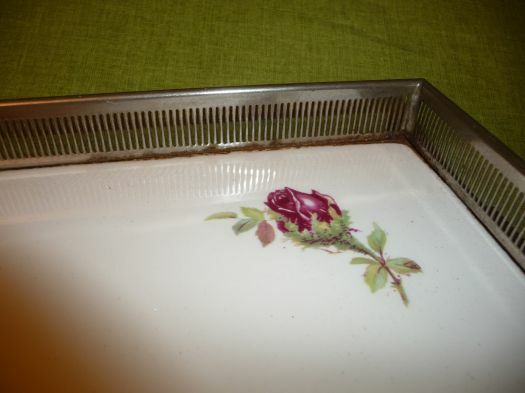 Very good condition, only a little rust on the edge, inside (last picture). 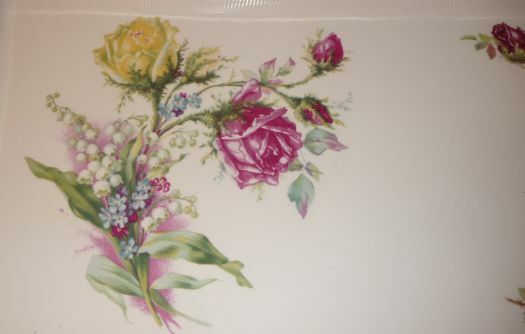 41,5 cm x 20,5 cm.